Renault-Nissan CEO Carlos Ghosn aims for sales growth in all major global markets while also boosting profitability. 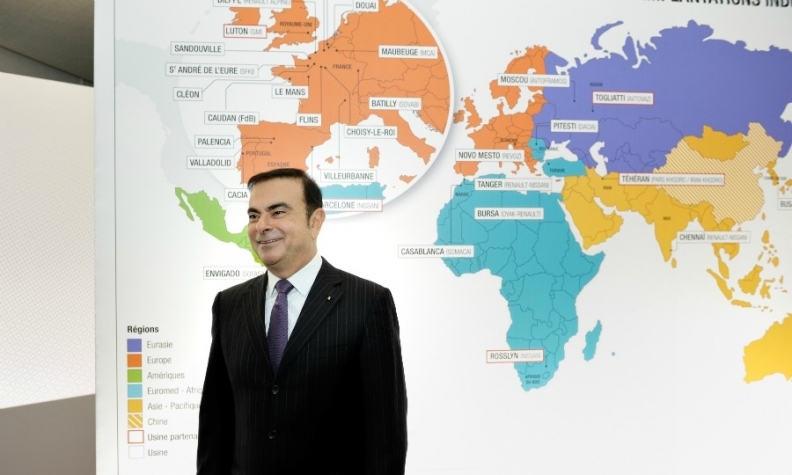 Renault-Nissan CEO Carlos Ghosn has high ambitions for the French-Japanese carmaking alliance. His aim is to "install Renault-Nissan as one of the top three global automakers," Ghosn told shareholders at Renault's annual meeting in April. Ghosn is counting on a rebound at Renault, where key products will be renewed over the next three years, as well as growth in markets such as China and Russia to help turn his vision into reality. The alliance is entering a "new phase of acceleration," he told shareholders, who renewed his CEO mandate until 2018. Renault-Nissan says the alliance's global vehicle sales rose 2 percent to a record 8.26 million last year, which leaves the automakers with a long way to go catch the current top three – Toyota, Volkswagen and General Motors, which all aim to sell 10 million units or more this year. But analysts say Ghosn's goal may be realistic. 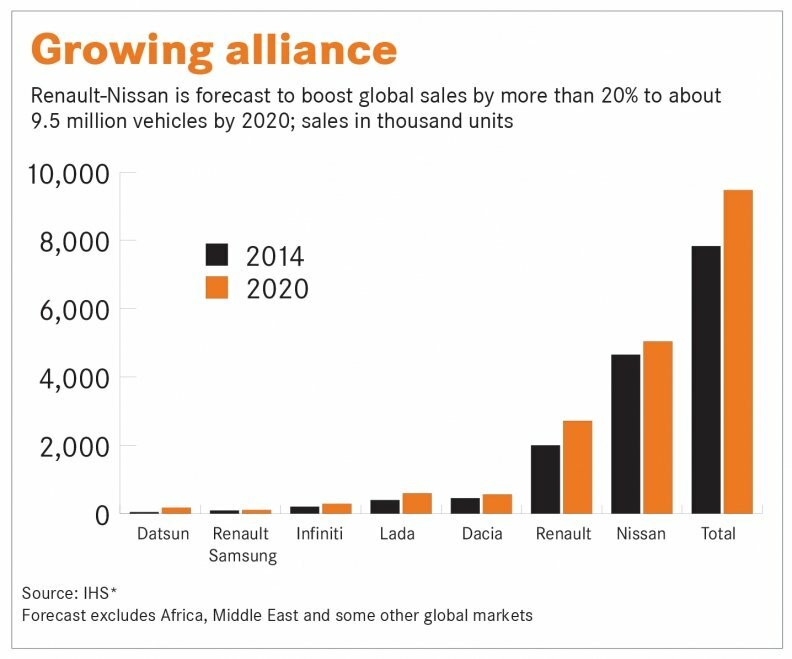 IHS Automotive analyst Ian Fletcher said Renault-Nissan will continue to gain ground on rivals over the next five years because its vehicle sales are expected to rise at a faster rate than GM’s and Toyota’s. IHS forecasts that alliance sales will rise to 9.47 million vehicles by 2020. Ghosn told shareholders that volume growth will not come at the expense of profitability. He aims to increase Renault’s operating profit margin to 5 percent in 2017 from 3 percent last year. Last month, he said Nissan targets an 8 percent margin by 2017, up from 5.3 percent last year. Boosting synergies between Renault and Nissan is key to Ghosn’s vision of increasing volume without causing costs to skyrocket. In March, Ghosn announced the deepest moves to date to integrate the two companies. The alliance is combining four key areas – engineering, manufacturing, purchasing and human resources – under a new team of managers with Japanese executives from Nissan taking engineering and manufacturing leadership roles while Renault executives will head purchasing and human resources. Ghosn said the move will help the alliance achieve annualized synergies that will save the equivalent of 4.3 billion euros by 2016. Renault is currently Europe’s No. 4 brand by unit sales with a volume of 291,220 vehicles in the first four months. Ahead of Renault were VW brand (541,148), Ford (366,332) and Opel/Vauxhall (299,862) Last year’s debuts of the new-generation Clio subcompact and the all-new Captur small SUV gave the Renault brand a tailwind, as will the recent introduction of the Twingo minicar. Ghosn, however, is counting on the renewal of key models in the compact and large-car segments to help the brand pass Ford and Opel. Renault will debut its new Espace minivan at the Paris auto show in October. This will be followed by the replacements for the Megane compact car, Scenic compact minivan and Laguna mid-sized sedan. These new vehicles will be underpinned by the alliance’s common module family (CMF) platform for C-segment (compact) and D-segment (large and mid-sized) vehicles. CMF-CD is the first of a group of modular architectures the alliance is developing to underpin future models. The next Espace, Laguna and Megane families will share the CMF-CD platform, which will underpin 3 million alliance vehicles compared with 700,000 for the current platform, Ghosn said. Nissan’s new Rogue, Qashqai and X-Trail SUVs are the first CMF-CD models to come to market. Ghosn told shareholders that about 80 percent of future Renaults will be underpinned by CMF platforms, creating 30 percent savings in development costs and between 20 percent and 30 percent savings in purchasing costs depending on the model. Next year, Renault-Nissan will launch an entry-level car for emerging markets underpinned by the CMF-A platform. In 2016, a CMF-B platform for subcompacts such as the Renault Clio and Nissan Micra will debut. 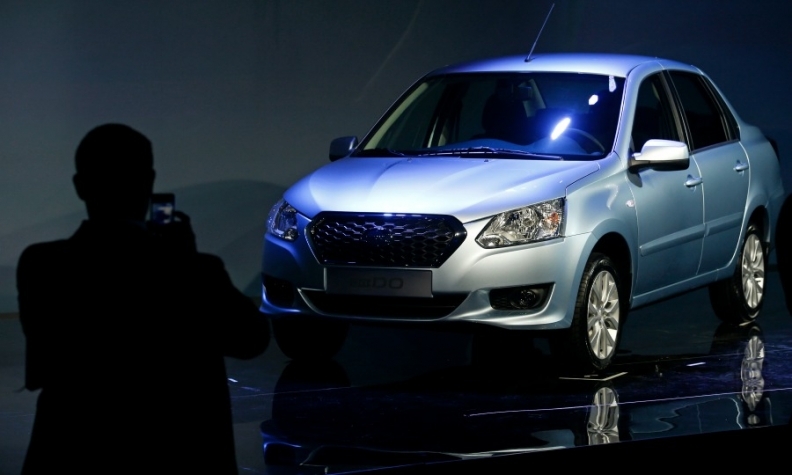 Renault-Nissan-AvtoVAZ aims for a 40% share in Russia, helped by the Datsun on-DO. The on-Do (shown) will be built in the country and sell for under 400,000 rubles (8,500 euros). A key part of Ghosn’s vision to become a top three global automaker rests on success in markets such as China and Russia. China is Nissan’s biggest single market, accounting for a quarter of the Japanese automaker’s sales. The alliance will soon gain full control of Russia’s AvtoVAZ, which builds Lada, the country’s top-selling brand. In China, Renault will begin producing crossovers in 2016 in a new joint-venture plant with Dongfeng Motor, which is Nissan’s partner. The factory will have an initial annual production capacity of 150,000 vehicles, with the potential to double that number. Renault has arrived late in China but its regional boss, Jacques Daniel, told Automotive News Europe that he believes there is plenty of potential for the brand. Renault’s midterm goal is to sell 600,000 to 700,000 vehicles a year in China and to have a 3 percent market share. In 2007, AvtoVAZ surprised many when it rejected General Motors and Fiat as a potential strategic partner, opting instead for Renault-Nissan. Ghosn’s bet on Russia has yet to yield substantial results. With the downturn of the Russian market, which was once forecast to overtake Germany as Europe’s largest as early as this year, the alliance’s investments to modernize the outdated Lada brand and upgrade its huge Communist-era factory in Togliatti seem a bad move. But Ghosn, who is AvtoVAZ chairman, takes a long-term view. He is encouraged by Russia’s growing middle class, low car density and an aging fleet. “I’m bullish on the market, I recognize the fact the market declined last year and will probably decline this year, but when we invest we engage not for this year but five, 10, 20 years down the road,” he said in Moscow in April when he unveiled the on-Do sedan, which is being launched in Russia by Nissan’s revived Datsun entry brand. Analysts see the recruitment of former General Motors purchasing chief Bo Andersson as AvtoVAZ CEO as a good move. Andersson, a tough cost-cutter, is credited with turning around Russian bus and truck maker GAZ. Deutsche Bank’s Toulemonde said Andersson could help the alliance’s Russian operations to earn double-digit margins. “Russia can definitely become a nice profitable business for Renault-Nissan,” he said. IHS’s Fletcher agrees: “There is still a great deal of long-term potential in the country’s market which Renault-Nissan is well placed to capitalize on given the scale of AvtoVAZ/Lada compared to its competitors,” he said. “I think the business’ position will only improve once further Renault- and Nissan-based models reach the market.” Ghosn said in Moscow that the Renault-Nissan-AvtoVAZ alliance aims to take a 40 percent market share in Russia, although he did not give a time frame. Renault, Nissan and AvtoVAZ currently have a combined share of 32 percent. 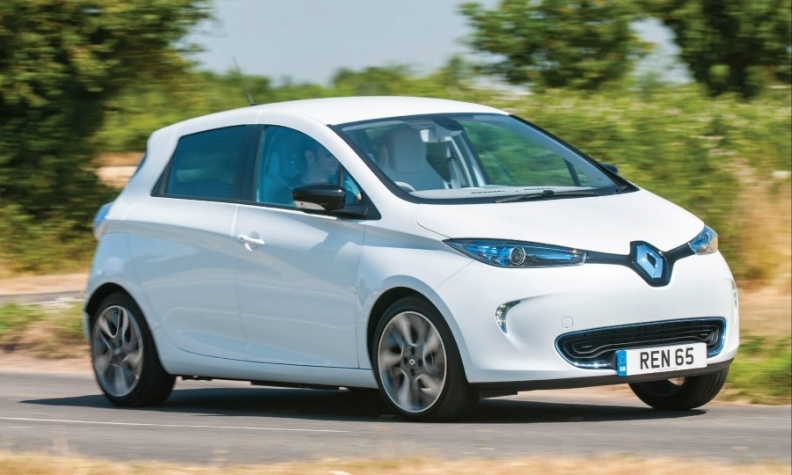 Sales of the Renault Zoe EV have been below expectations. The outlook for Ghosn’s other big bet – on electric cars – may not be so positive as rivals such as Volkswagen, which has said it aims to be the global No. 1 in electromobility, and BMW, which is rolling out its i3 battery-powered compact car, push into the niche. Renault has said that the alliance will not meet its goal of selling 1.5 million EVs globally by 2016. Earlier this year a Renault spokeswoman told Automotive News Europe that new targets have not been set yet. Exane BNP Paribas’s Freiha believes the Renault Zoe subcompact, which was supposed to be the brand’s breakthrough, big-selling EV, will continue to struggle because it is only sold in Europe. The BMW i3 has more potential for sales growth because it is sold in the United States and is also aimed at premium buyers who are the biggest EV customers, he said. Renault installed capacity at its Flins, France, plant to build 150,000 Zoe models annually but production last year was 11,130 units, according to research firm Inovev, which forecasts Zoe sales to peak at 50,000 units by 2016. Freiha said Renault-Nissan’s EV push came too soon and the alliance has lost its edge in EV technology because rivals have caught up. Expanding the alliance’s portfolio of low-cost cars with Datsun’s revival is another of Ghosn’s growth pillars. Renault’s no-frills Dacia brand has been a success in Europe with its market share reaching 2.7 percent in Europe after four months, equal to Kia’s and higher than Seat’s 2.3 percent share. Like Dacia, Datsun will aim to lure first-time buyers away from the used car market. Ghosn has said that Dacia and Datsun will not compete directly in any market. Dacia is a regional brand that is mainly focused on Europe with some presence in North Africa. Datsun is positioned as a brand for growth markets such as India, Russia, Indonesia, and South Africa. Nissan expects a 4 percent to 7 percent operating profit margin on the Datsun models. Analysts estimate that Dacia has an operating margin of 9 percent, which is more common for premium automakers. Still, Datsun sales will be tiny compared with the alliance’s overall volume. IHS Automotive expects Datsun’s sales to rise to 169,819 vehicles in 2020 from a forecast volume of 42,741 this year. Ghosn, 60, expects it will take two people – separate CEOs for Renault and Nissan – to replace him when he eventually retires. “I would not recommend to anyone else that they do the job I’ve been doing. Being in charge of two companies and having to run between two countries is extremely taxing on people. I had to do it because I had no choice. I was put in a position where I had to and there was a clear benefit to the alliance,” he said in an interview with Automotive News Europe last year. Renault is heavily dependent on Nissan, which was the same size as Renault when the automakers entered their alliance in 1999. Nissan now sells twice as many vehicles as Renault and the Japanese automaker contributed 415 million euros to Renault’s net income in the first quarter.